Bandrone (Ibandronate,ibandronic acid) is generic version of Boniva. It comes in 50 mg and 150 mg tablet form. 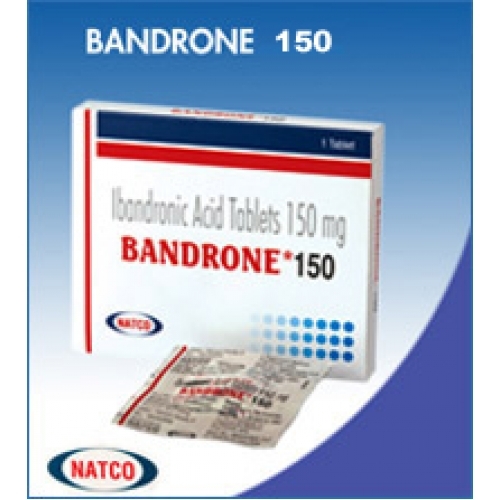 Bandrone (ibandronate) by natco is generic version of Boniva.form in the group of medicines called bisphosphonates (bis FOS fo nayts). It alters the cycle of bone formation and breakdown in the body. 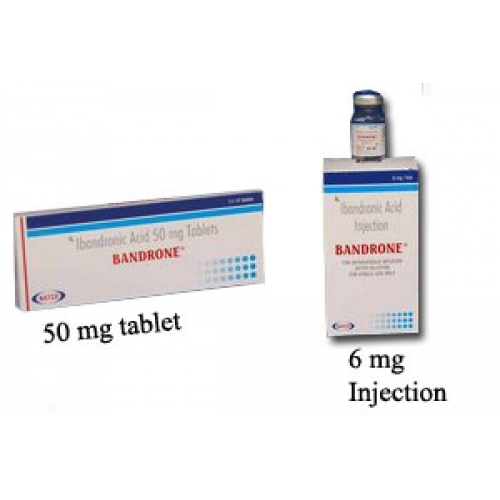 Ibandronate slows bone loss while increasing bone mass, which may prevent bone fractures. 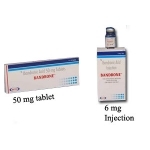 Bandrone is used to treat or prevent osteoporosis in women after menopause. 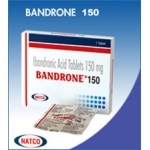 Bandrone may also be used for other purposes not listed in this medication guide. Do not take a Bandrone tablet if you cannot sit upright or stand for at least one full hour. Bandrone can cause serious problems in the stomach or esophagus (the tube that connects your mouth and stomach). You will need to stay upright for at least 60 minutes after taking this medication. Take the Bandrone tablet first thing in the morning, at least 1 hour (60 minutes) before you eat or drink anything or take any other medicine. Take each dose with a full glass (6 to 8 ounces) of water. Use only plain water (not mineral water) when taking a Bandrone tablet. For at least the first 60 minutes after taking a Bandrone tablet, do not lie down or recline; do not eat or drink anything other than plain water; and do not take any other medicines including vitamins, calcium, or antacids. Some people using medicines similar to Bandrone have developed bone loss in the jaw, also called osteonecrosis of the jaw. Symptoms of this condition may include jaw pain, swelling, numbness, loose teeth, gum infection, or slow healing after injury or surgery involving the gums. You may be more likely to develop osteonecrosis of the jaw if you have cancer or have been treated with chemotherapy, radiation, or steroids. Other conditions associated with osteonecrosis of the jaw include blood clotting disorders, anemia (low red blood cells), and a pre-existing dental problems. Bandrone is only part of a complete program of treatment that may also include diet changes, exercise, and taking calcium and vitamin supplements. Follow your diet, medication, and exercise routines very closely. 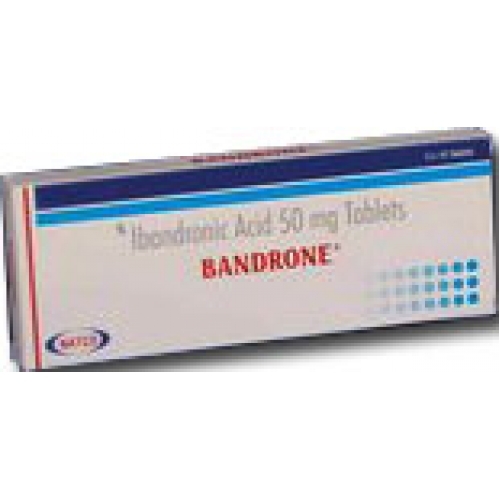 You should not use Bandrone if you are allergic to ibandronate, or if you have low blood levels of calcium (hypocalcemia). Do not take a Bandrone tablet if you cannot sit upright or stand for at least one full hour. Bandrone can cause serious problems in the stomach or esophagus (the tube that connects your mouth and stomach). You will need to stay upright for at least 60 minutes after taking a Bandrone tablet. Some people using medicines similar to Bandrone have developed bone loss in the jaw, also called osteonecrosis of the jaw. Symptoms of this condition may include jaw pain, swelling, numbness, loose teeth, gum infection, or slow healing after injury or surgery involving the gums. 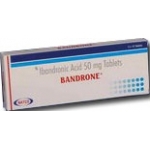 FDA pregnancy category C. It is not known whether Bandrone is harmful to an unborn baby. Before taking this medication, tell your doctor if you are pregnant or plan to become pregnant during treatment. It is not known whether ibandronate passes into breast milk or if it could harm a nursing baby. Do not use this medication without telling your doctor if you are breast-feeding a baby.